Flexibility— it’s not just for stretching any more! 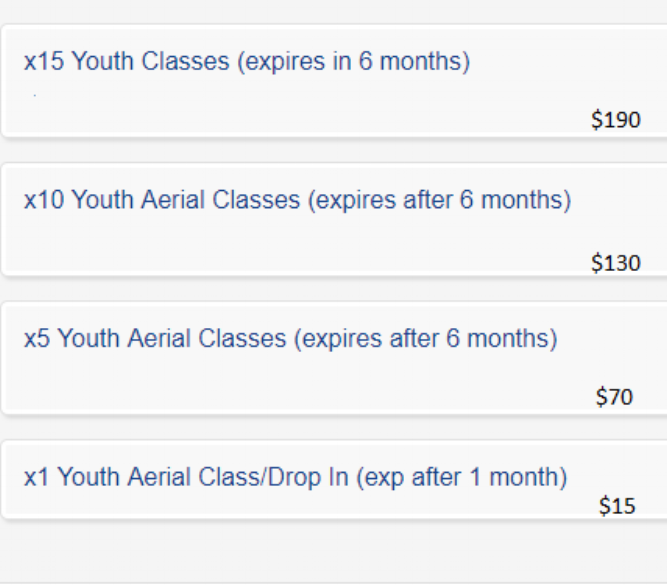 We make it easy for you to fit the aerial arts into your busy schedule with package deals on our classes. 1, 5, 10, or 15 credit options available! 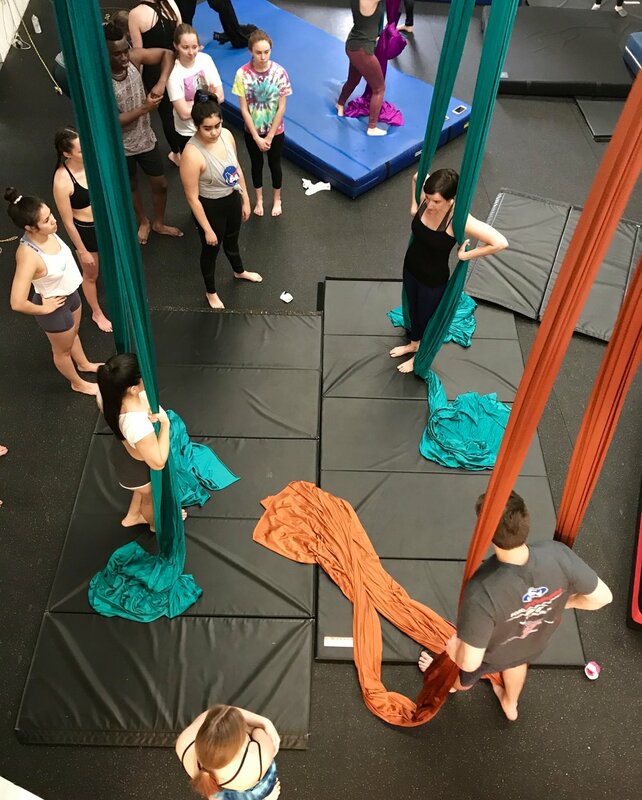 Drop-in friendly classes all session long! No commitment required. Purchase a package and use your credits on whichever classes you want, whenever you want— no more lost money from missing a week when life happens.